Have problems with EZDOK 2.0? If you had problems, at first read Question and Answer sections below. Possibly you will find the response to the question and keep our time for the double response. If you didn't find the answer to your question, just fill ticket. Please fill E-MAIL section attentively. Within one days we will try to answer your question. We ask not to write questions to support for which there are responses in the section Q&A . I have "HotCameraSelect" problem with MaddogX aircraft. I select any camera from EZdok Aircraft camera list , but Simulator showing any other buil-in aircraft camera. This problem appear only during fist launch simulator with maddoX airctaft. 1. Load flight with MaddogX. 3. Run EZ configure tool. The tool will found and modify records assiciated with MaddoX airctraft. I have "UAC warnings" after install 2.6.0.29 version. After applying the above change, no UAC warning any more. Recently we found out that some antiviruses influence quality of operation of addons and flightsimulator.. The antivirus of ESET Nod32 passes through itself all data stream between the simulator and an add-ons, thus operation of EZ is slowed down, the general FPS decreases, the smooth scaling of ZOOM works not qualitatively. The antivirus of AVAST gives rise to a problem of a red-lock on world cameras and locks ZOOM operation. It is shown very seldom. About 1 case on 2 thousand users, but a problem exists and we are obliged to tell about it. Also these antiviruses can reduce overall performance of your PC with falling of FPS without EZCA involvement. Many beta testers reported on it. If you add application to the list of exceptions of an antivirus, it doesn't mean that operation of an antivirus will be completely stopped for programs in the list of exceptions. Anyway these antiviruses continue to influence operation of Flightsimulator and addons. This general comment which doesn't concern of EZ working. We just want to pay your attention to it. We recommend to replace your antivirus with another if it possible. My HAT-switch does not working ! Why ? EZ launched normally, i can see EZ icon , but after loading of the flying , EZ does not working. How to switch to old version ? Watch this video (Eng tilitles). My TrackIR does not working or working with strange effects of movement. If those files is not renamed - rename it manually. This message will appear once after update to .25 version. It isn't a problem and this message will appear once after update updater.exe which is in .25 build. Solution - just restart the simulator. If this file is not exists, possibly it is in an antivirus quarantine. If this file isn't on your HDD, reinstall EZCA using an original installer from Flight1. 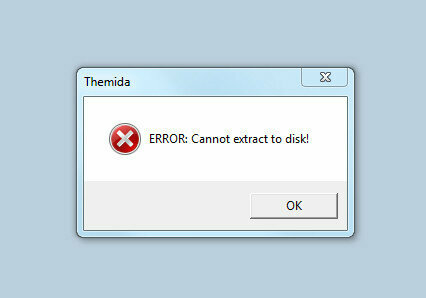 Don't delete and don't move the C:\Ezdok Software folder to other HDD or folder. Configure tool is not found ! Where is it ? Possibly this file is in a quarantine of your antivirus. Download the new file without false-positive reaction of an antivirus. Put it in C:\Program Files(86)\EZCA2\ папку. Run it.. I click red arrows to update next version , but nothing occurs. It means the updater.exe in the C:\ProgramFiles(86)\EZCA2 folder is lost. Just put this file to C:\ProgramFiles(86)\EZCA2 folder then run EZCA . After this you can update EZ to latest version by red arrows. After installation of the new airplane, after switching to the external camera, I see a skeleton of the airplane or I am outside the virtual cabin. Just run configure tool after install new aircraft. After installation new airplane, it is necessary to launch configure tool because the automatic checking of camera conflict isn't provided in ezca. The configure tool have this function for minimize code to release the CPU resources and memory. Mouse did not response after 3-4 minutes after start EZCA. Or Sensitivity of a mouse disappears smoothly within 3-4 minutes after EZCA start. Sensitivity of a mouse disappears smoothly within 3-4 is a protection mechanism. You need to completely reinstall EZ. Download oficial latest version from Flight1 site. Run it , then press Reinstall button. Enter your purchase data. After this , installer will get new license from flight1 site. All camera sets will be saved. No need to backup database of cameras. Check existence of files of the license on your HDD. Sometimes there is a false positive reaction of an antivirus and license files moved to a quarantine. If the file is found only in one of these folders, copy it to other folder manually. Anyway, the ezcamera2.lic file shall is in both folders. If you didn't find this file, check this file in an antivirus quarantine. If it is in a quarantine, derive it, and add the ezcamera2.lic file to exclude list of your antivirus. You will not find a solution to your problem? On the question which is already in the list, we are not responsible. Thank you for understanding.